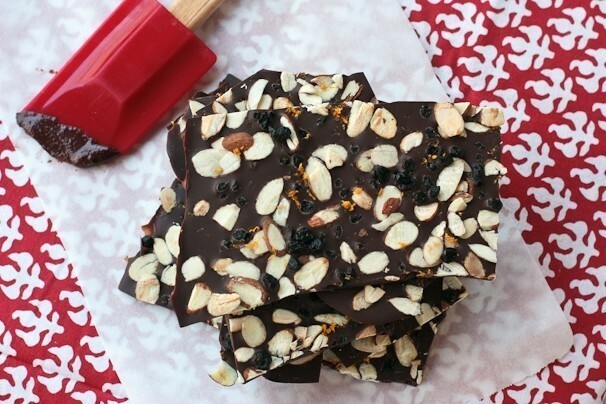 Homemade dark chocolate bark with toasted almonds and dried blueberries and orange zest. So easy you'll wonder why you never made it before! Coarse gray or pink sea salt would also be great instead of the orange zest. Pour the chocolate onto the parchment paper, and spread with the spatula to create a rectangle of about 12 x 8 inches. Sprinkle on the toppings. 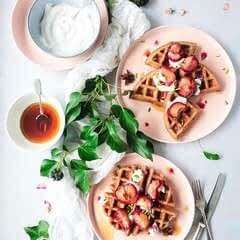 Refrigerate until hard, then break into pieces and store in an airtight container.